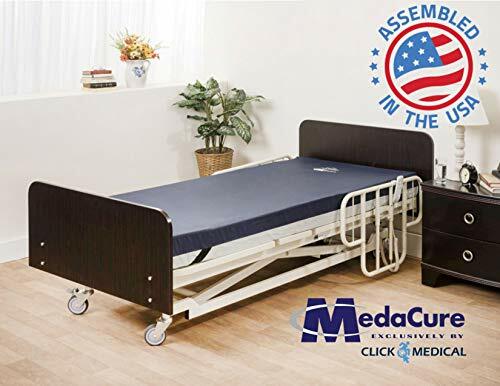 Buy Pressure Redistribution Bariatric Foam Mattress Extra Wide -42″ with Visco Elastic Memory Foam, 3 Layered Foam, by Medacure – Hospital Grade Cover Included (80″ x 42″ x 6″) at Discounted Prices ✓ FREE DELIVERY possible on eligible purchases. 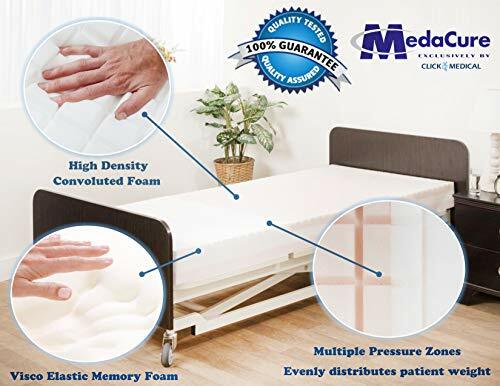 Pressure Redistribution Foam Mattress with Visco Elastic Memory Foam, 3 layered Foam, by Medacure are made with low-risk patient comfort and safety in mind. 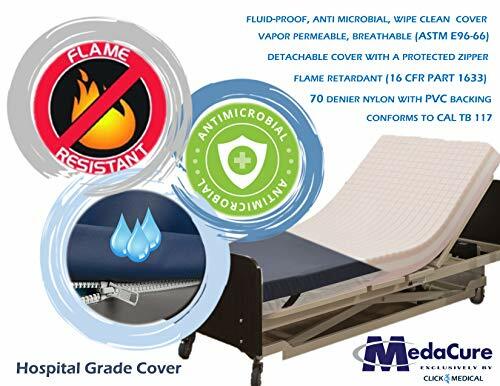 Each hospital mattress is Tri-layered and designed to distribute a patient's weight evenly across its surface to mitigate the formation of pressure ulcers and lesions. 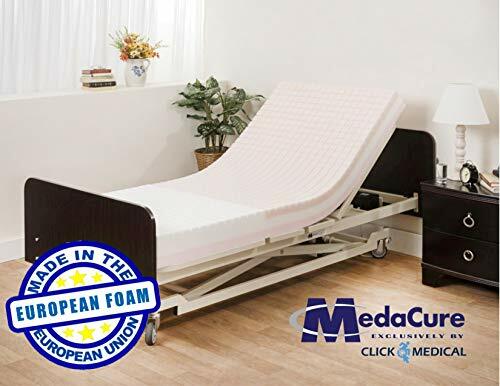 The "convoluted " foam cut design also aids in providing patients with greater support and relief, while simultaneously reducing heat and moisture by promoting airflow. The "Convoluted" foam cut design also aids in providing patients with greater support and relief, while simultaneously reducing heat and moisture by promoting airflow.